Opening Hours: Winery open daily from 10am to 5pm. Lunch from 12pm to 3pm and platters only from 3pm to 4pm. 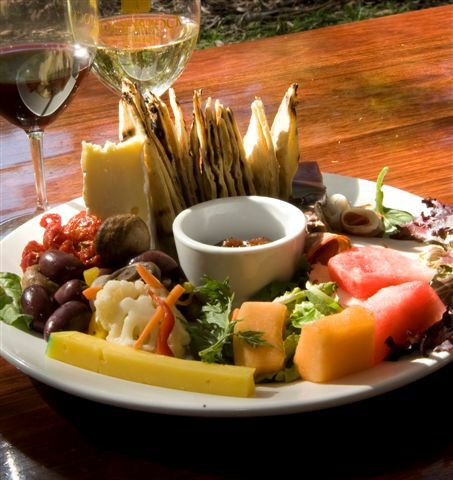 Woodstock is a winery in McLaren Vale that you can genuinely visit with the whole family. There is a great children’s playground outside and lots of area to run around, there is also a toy box and some books inside, either will do a good job of amusing the little ones while the adults indulge in wine tasting at the cellar door. Another great feature of Woodstock is the Wildlife Sanctuary, where you may be lucky enough to be able to spot a koala, blue tongue lizard, Kookaburra or a Kangaroo. Kangaroo’s are fed daily between 11.30am & 12pm. When its time to eat, you can choose to graze on ‘Woodstock Platters’ or opt for the full a-la-carte menu. Dining is in the restaurant or if it is a nice sunny day you can eat on one of the verandahs, or in a courtyard or in the garden. Ask the staff for the kids’ special, which is available on request. On Friday nights Woodstock offers yummy wood-oven Pizza’s and a great atmosphere. Woodstock is a spacious and relaxed setting, with lots of room for the kids to run around and the playground is fantastic – as is the food!